​Having Pump Issues ? We Can Help ! 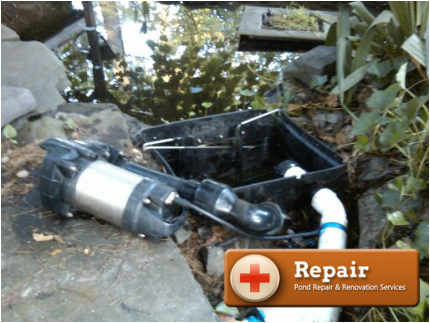 ​It's a fact that eventually your water feature pump will need to be replaced. 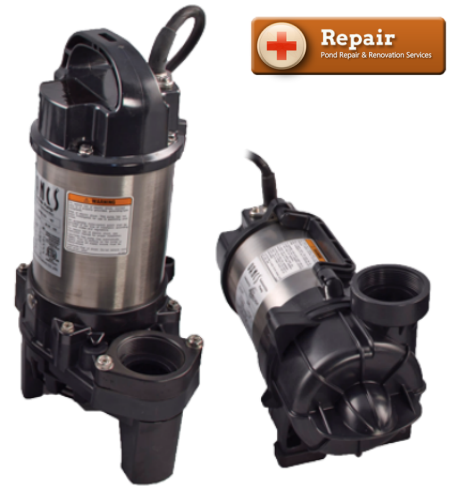 Most pumps run 24 hrs, 7 days a week, and this is a recipe for wear & tear on the internal components of your pump. That fact is that a mechanical pump used to transport water generates heat, and friction, within the electric motor. Constant high operating temperatures with the pump hosing will eventually cause the pump to fail. 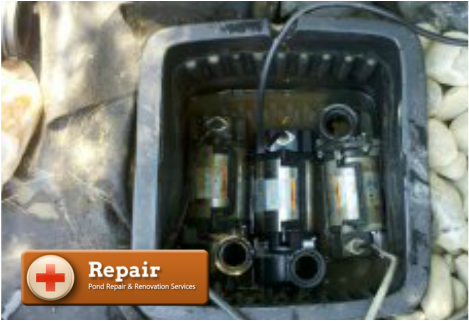 The most common issues with submersible pond pumps is the rubber seals that keep the pump water tight. Once they fail, water is allows to reach the electrical components of the pump, and this means the death of your flowing waterfall, fountain, or spitter. If a cheaper sump pump style pump runs 2000 gallons an hour and costs $80 a month to run, that's approx $800.00 running cost for the season (Figuring 10 Months). You can buy the same high efficiency 2000 GPH professional grade water feature pump usually for $2-300 more than the cheaper pump, and that pump will cost you $25 per month to operate at $250.00 for the season, that's a $575.00 difference. So as far as water feature pumps go, you get what you pay for. So keep this in mind when you need to replace your waterfall, fountain, or pond pump, look or ask your contractor for a high efficiency pump.